Content marketing is a lot more than simply coming up with a steady feed of new content onto your web site. 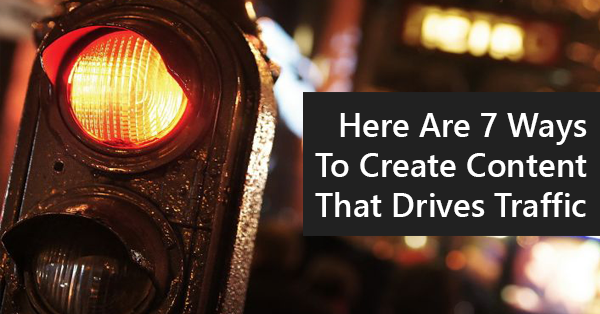 Done right, creating content that drives lots of traffic to your site is a real possibility. The good news is that crafting and producing this type of traffic sucking content isn’t as hard as it may appear on the surface. What it entails is using different forms of content in a way that feed off of one another, particularly the visual types. Infographics – We are a visual Web, and infographics have grown to be one of the most popular ways to cram a lot of content into an interesting format. Even better, they are easily sharable, and can send a great deal of visitors to your site. Case studies – People are dying to know, step-by-step, the best way to do things. If you’re able to present a case study that got great results, your content will get ranked, go viral, and garner lots of looks. Tutorials – Similarly, an excellent tutorial, especially on things technical, can bring you a lot of eyeballs for a very long time. Podcasts – Podcasts are all the rage now, as people love to listen (even in meetings sometimes!) when they aren’t able to watch. Moreover, it is a great medium for their smartphones, which can be tedious to watch videos on. Create an epic post – Even though this is not something you can pump out every day, becoming known for producing long form content people want to share and read is very good for your brand! © Copyright 2015 · Best Web Marketer All Rights Reserved.